Police are investigating after shots were fired near Rathburn Road and The East Mall on Monday night. 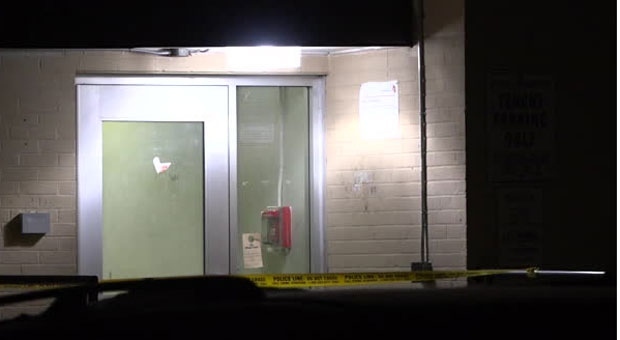 Toronto police are investigating after shots were fired at a building in Etobicoke late Monday night. Police say the incident occurred near Rathburn Road and The East Mall shortly before 10:30 p.m.
As many as 10 to 15 shots were reportedly heard in the area and when investigators arrived at at building in the area, a bullet hole was the front lobby. Police have not released any information on possible suspects but say the investigation is ongoing.